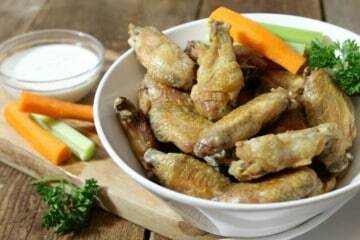 Perfectly crispy oven baked chicken wings are easy to make and a surprisingly healthy appetizer! 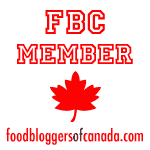 Learn my secret to crispy, yet tender wings! A simple chicken spinach salad with a crispy twist! 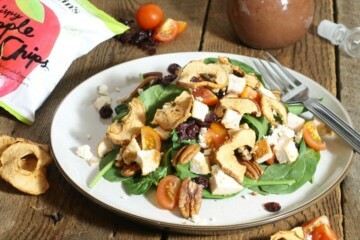 Martin’s Crispy Apple Slices are mixed with baked chicken, pecans, cherry tomatoes, and feta, to create the perfect back-to-school/work salad meal. 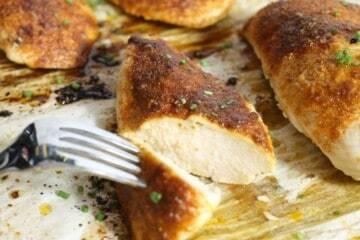 Tender and juicy, these simple oven baked chicken breasts are ready in just 20 minutes. Perfect for a quick lunch or supper, or prepared ahead of time for meal-prep. 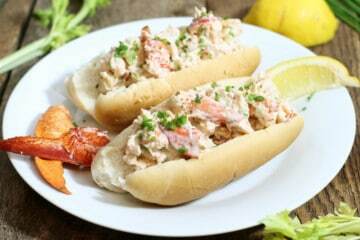 Packed with chunks of fresh lobster, a bit of finely chopped celery, mayo to bind it, and drizzled with fresh lemon, a good lobster roll can’t be beat!